South African director Neill Blomkamp made his stellar directorial debut with 2009's District 9, which was followed up by Elysium and this weekend's Chappie. Ever since District 9 came out, fans have been pining for the sequel District 10, but there is very little we know about the project except for the title. Of course, now the director is working on bringing Alien 5 to the big screen, with Sigourney Weaver reprising her role as Ripley and original Alien director Ridley Scott producing, so it may be quite some time before we ever see District 10 on the big screen. During an interview with IGN, Neill Blomkamp revealed that he does have an idea for District 10. "I have an idea for District 10, which is really cool. The problem is I feel like Chappie is the end of three films that have a similar stylistic approach to them. Chappie is the odd one out in that is has no socio-political underpinnings. It doesn't have my experiences as a kid in South Africa incorporated into it. And Elysium - although it doesn't have my experiences as a kid in South Africa, it has the same notion of oppressor in the elites, and the large population base beneath it. And Chappie doesn't, but they are still part of a trilogy. So moving forward I would love to realize this idea of District 10 - I have every intention to do it, I just need to find the right time to do it - to not go back to Johannesburg and shoot something similar, yet." 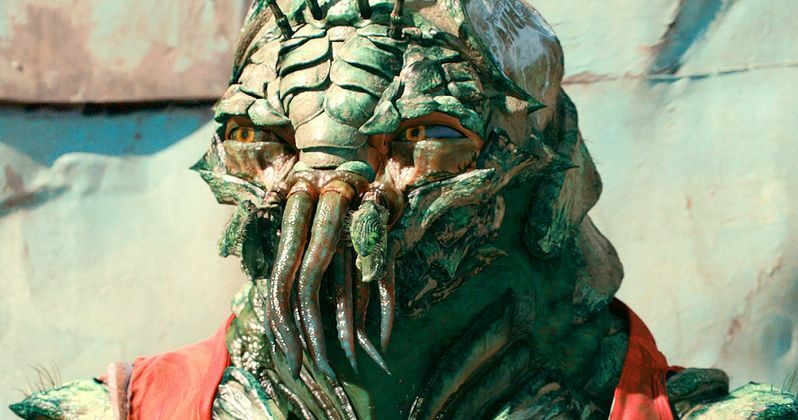 The director added that when he finished District 9, he had no clue there was the potential for a sequel, until producer Peter Jackson pointed it out. "I had no idea to the point that I remember walking into Peter Jackson's office, which was down the hall from the editing room I was in. The edit was locked and the movie was basically done, and I walked into his office and was like 'You know that the ending of the film is for a sequel?' And he may have known that all along, but I didn't, so he was like 'Mmm, yeah, it is sort of, isn't it?' And then the film came out and I left New Zealand. But no, there was zero, pre-meditated... I was not hinting at anything, and nothing was thought of." The director added that he originally saw District 9 as a stand alone movie, adding that his new idea for District 10 will be something that fans of the original will want to see. "It was a completely self-contained story about the Nazi becoming the Holocaust victim, basically. It was the oppressor becoming the oppressed. And when it's based on a character like that, it ends on that character. The inadvertent world creation that came with it, which to me is my perfect kind of thing that I love - having a bunch of weird alien weapons in the back of a shack that you can discover - that's just ripe for creative insanity, so it took a few years to process what that could be. And I think that the story that I have now is what I would want to see as a fan of the first film, I think. I know I would want to see it - I assume other people would. It's good man!"